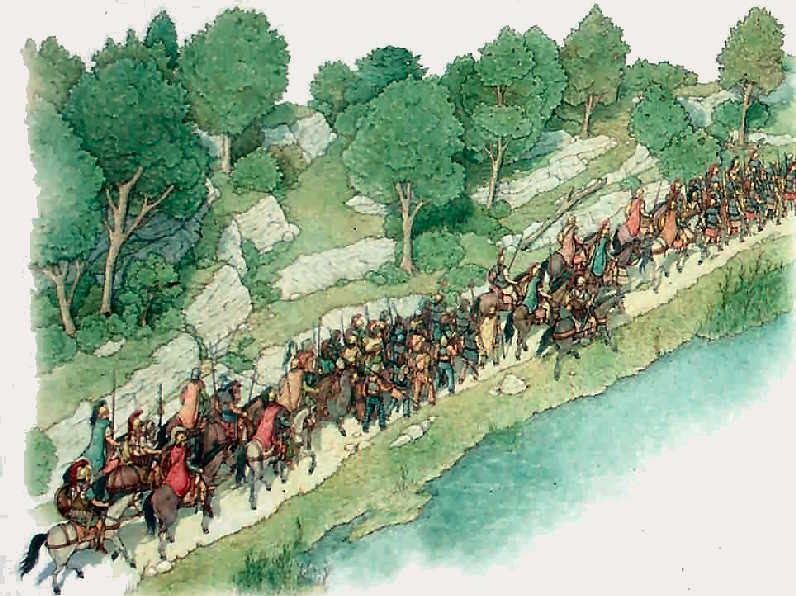 The Association Academos, with their scientific advisors and by digital investigations air, land and underwater, are planning a project that aims to identify scientifically the site where it happened the battle of Trasimeno. 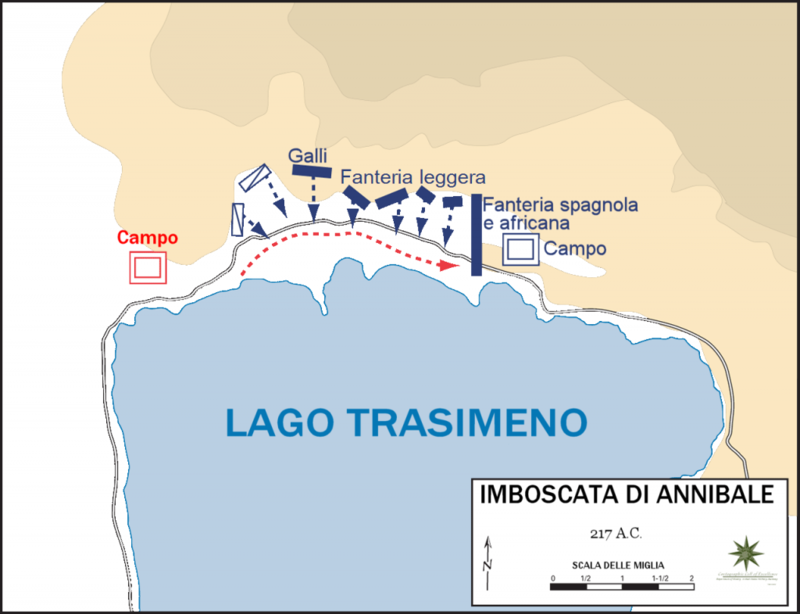 The battle of the Trasimeno was the biggest ambush in which both dropped a Roman army along with that of the Teutoburg Forest. The Roman army consisted of 40,000 men, 15,000 died on the field, 10,000 fled to Rome spreading throughout Etruria (Livy Ab Urbe seasoned books, XXI, 7.2) and 15,000 more were taken prisoner (Polybius). At dawn on 24 / June / 217 BC, according to the calendar unreformed which corresponds to April of the Julian, came the battle between the Carthaginian forces commanded by Hannibal and the Roman legions commanded by the Consul Gaio Flaminio. Around the area where the massacre took place there are many conflicting opinions, some of them very influential as those given by the Greeks (Polybius, Livy). In every era it was made only guess, the most recent, supported by H. Nissen, J. Kromayer and Susini, see the battlefield in the valley of north–east of Sanguineto Tuoro, or, more to the east, at the close of Montigeto. Other authors, however, for reasons arising from military strategy, believe that Hannibal is encamped in the hills of Magione.